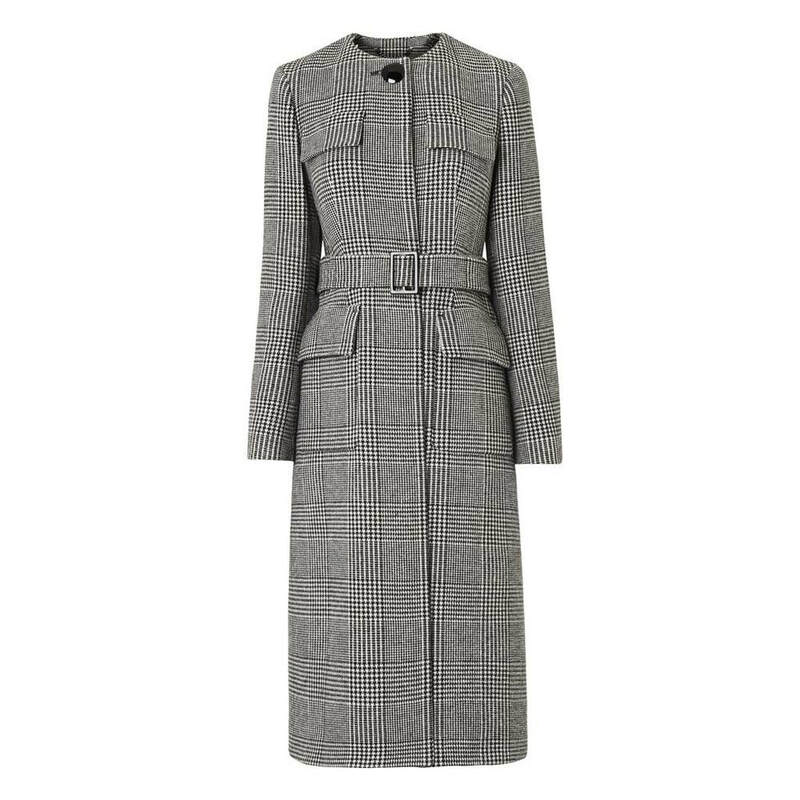 Cut from a fine black and white houndstooth weave in virgin wool, its sleek and tailored silhouette is designed with a high crew neckline, concealed button-down front and two useful flap pockets to the front that boast a military-inspired aesthetic. Falling to a mid-calf length, the detachable waist belt provides a flattering shaping accent. 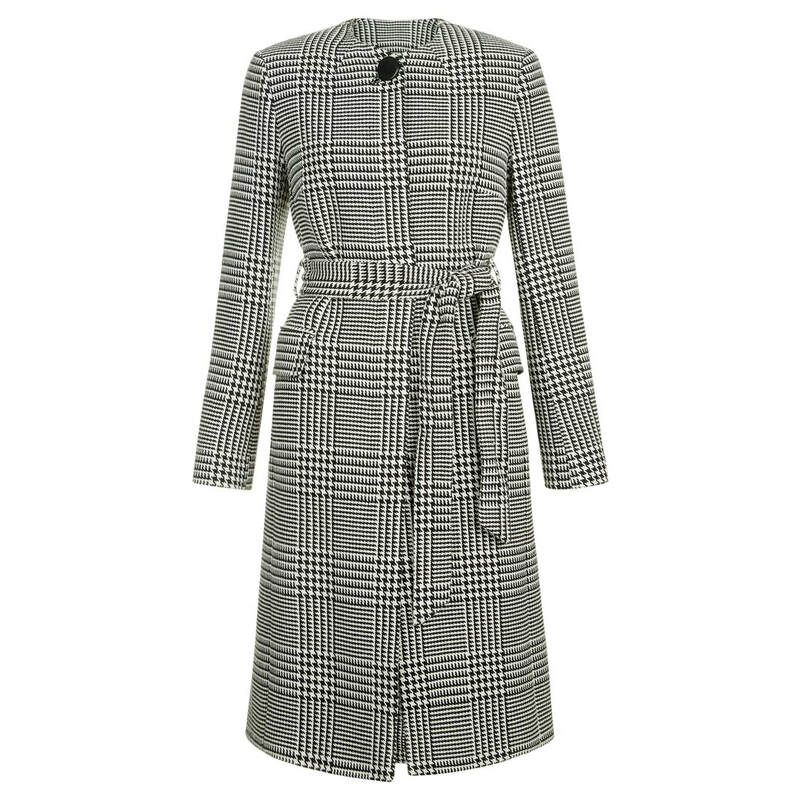 STYLE FILE: LK Bennett Delli Check Coat as seen on Kate Middleton, The Duchess of Cambridge.